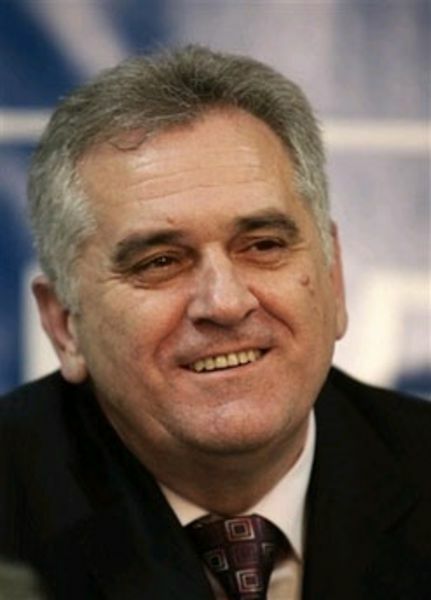 “With his today’s [April 4] decision to step down earlier than the time set by the law, Boris Tadic has received an official candidate status for president of Serbia. 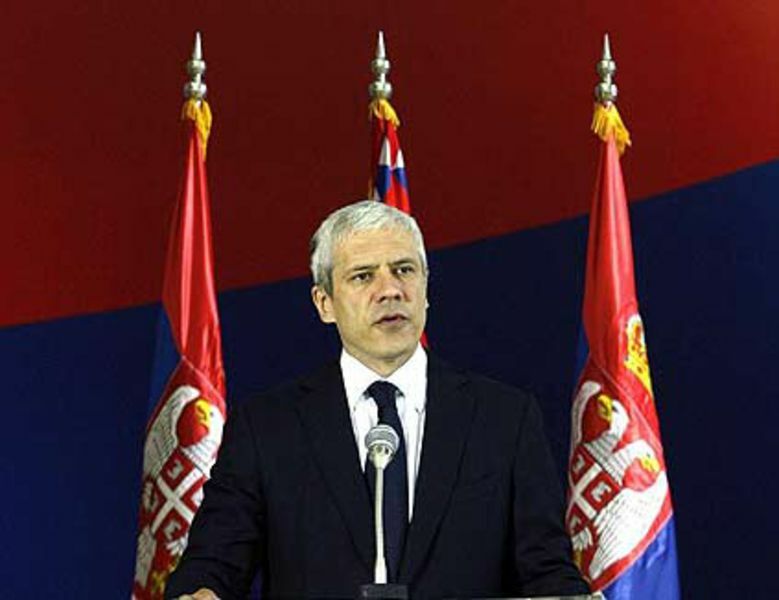 On that occasion he said that this was not only his personal victory, but a recognition for the whole country.” Among all other news and comments on Serbian president's resignation last week, this piece of anti-news describes most probably the best the situation in the country a month before the elections. The article was published by the website njuz.net, which issues parodies of real news or even fiction news, which, as in this case, are sometimes quite good shots. In fact, in his motives to resign a few months before the end of his second mandate, Tadic says that this will allow presidential elections to take place along with the parliamentary and local voting, thus saving money for the state budget. 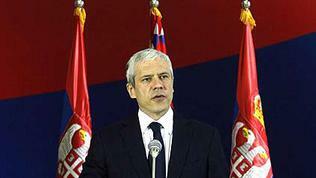 The Serbian president has already secured himself two victories and is confident that he can win a third time. The question is what is really hidden behind his decision to run for a third mandate, which was made possible by the new constitution of the country. Or, as the Belgrade-based magazine “Vreme” (“Time”) put it: Why Tadic’s resignation and everything which follows after it reminds of the story of the shepherd who was warning the village that the wolf was coming and when the wolf really came no one believed the shepherd. But not only the resignation itself is strange, “Vreme” says, but the very motives too, as, according to the magazine, they were presented as a big box, wrapped up in shiny paper with blue European stars and a toy popping up upon opening. The fact is that Tadic’s candidate status and Serbia’s EU membership candidate status are quite related. The country has not received yet a date for a start of membership talks, but beside the statements that this decision depends only on Belgrade's progress and the criteria that it has to meet, it is quite certain that Brussels would not commit itself to take such a decision before the election results become clear. 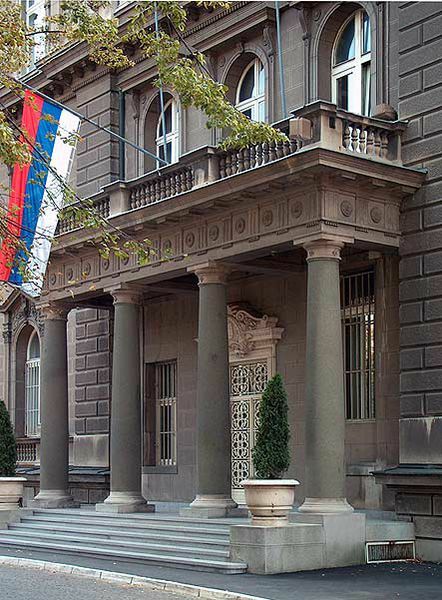 It is also only after the elections that the dialogue between Pristina and Belgrade, which is seen as a key issue for Serbia’s membership path, can be continued. 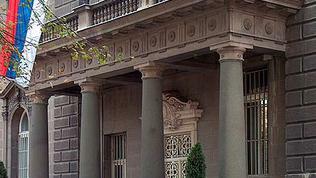 And while the outcome from the parliamentary elections may resemble the scenario from the last vote, when eventually a coalition government came to power, led by Mirko Cvetkovic from Tadic’s Democratic Party, and where Socialists leader Ivica Dacic is a deputy prime minister, the traditions in the presidential run-off have changed. When running for his first mandates, Tadic usually met Tomislav Nikolic, the candidate of the Serbian radical party, as in the elections in 2004 the difference between them was less than 10%, while in 2008 it shrank to some 100,000 ballots or just above 2%. Thanks to the country’s new constitution, passed in 2006, his second mandate, won in 2008, became first and now he is eligible to run again. 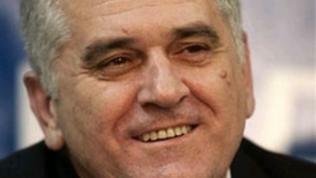 Tomislav Nikolic will run again, but this time as a candidate of the Progressive party, which split from the Radicals. The Radicals’ leader Vojislav Seselj, who is under arrest in the Hague on charges by the International Crime Tribunal for the former Yugoslavia (ICTY), sends his wife Jadranka Seselj. Njuz.net added on this that Seselj’s election campaign would start in the Scheveningen prison, where those who are accused or serving time stay. Several months ago similar comments appeared, that Seselj had no right to oppose Serbia’s membership in the EU, given that an EU member was currently paying for his stay in prison. According to local analysts, 3 in 1 (or even 4 in 1, if the local elections in the independent province of Vojvodina are taken into account) elections could be used by candidates such as Tadic and Nikolic to improve the election results of their parties on national level. “This has not been measured so far, but everyone knows that strong candidates additionally support the election campaigns of the parties they lead. This outflow of votes is not big, maybe one to two percent,” local analyst Milan Nikolic told Deutsche Welle. He says the Socialists leader and current deputy prime minister and minister of the interior, Ivica Dacic, was not among “the strong ones of the day”. The big surprise, at least according to local media, is the candidacy of the chief mufti, Muslims’ leader Muamer Zukorlic, who announced that he would step down if elected and was broadly criticised by the Muslim community in the country. Maybe not that surprising are the results of a poll, conducted by the local Centre for Free Elections and Democracy (CeSID), according to which some 70% of the voters do not trust any political party or its programme. Under CeSID’s survey the most important issues for the pollsters were the economic development of the country and increasing the living standard, followed by priorities such as fight against corruption, EU integration, the Kosovo issue and investments in health care and education.